Specialty certification is a goal of many perianesthesia nurses. The CPAN® and CAPA® credentials validate clinical expertise and demonstrate a commitment to professional development and life-long learning. The Magnet Recognition Program® encourages certification as a reflection of nurses' commitment to attaining the highest level of professional standards. Many nurses, however, are unsure of how to study, and wonder if their current level of knowledge is sufficient to pass the examinations. This seminar is designed to assist the perianesthesia nurse seeking certification in attaining the knowledge necessary to successfully pass the CPAN® and/or CAPA® examinations. Nancy McGushin will lead you through a review of key areas of study, test-taking strategies, and critical thinking processes that will enhance your ability to formulate a successful course of study and ultimately achieve your goal of becoming a certified perianesthesia nurse. Please refer to the course brochure for continuing education information. Describe the importance of using recognized standards of care to guide Perianesthesia nursing practice. Describe the pharmacodynamics of drugs used for induction and maintenance of general anesthesia. Examine the stages of general anesthesia induction and reversal. Relate the pre-admission and preoperative preparation process to the effects of anesthesia and surgery. Describe Phase I care of the post anesthesia patient. List common post anesthetic complications. Compare the needs of special patient populations in perianesthesia care. Examine the elements of certification testing. Describe the importance of critical thinking in preparing for examinations. 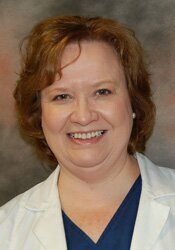 Nancy McGushin has been a certified postanesthesia nurse (CPAN®) since 1994. She currently serves as the Perianesthesia Nurse Educator at the Ohio State University Wexner Medical Center, where she provides unit-based education and competency training for colleagues in the Ambulatory Surgery Unit, Preoperative Holding and Postanesthesia Phases I (PACU) settings. Nancy worked for fourteen years in inpatient PACU settings and for nine years in preanesthesia and postanesthesia care in a free-standing ambulatory surgery center. Her nursing career also includes experience in medical-surgical and neurosurgical critical care nursing, as well as staff development and nursing management. She is an active member of the American Society of Perianesthesia Nurses (ASPAN), a member of the Association of periOperative Registered Nurses (AORN), and an affiliate member of the Ohio Nurses Association (ONA). Financial: Nancy McGushin has an employment relationship with Grand Canyon University; The Ohio State University Wexner Medical Center; and Otterbein University. She receives a speaking honorarium from PESI, Inc. Non-financial: Nancy McGushin is a member of the American Society of PeriAnesthesia Nurses (ASPAN); and Association of periOperative Registered Nurses.